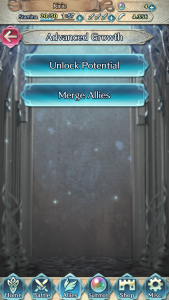 The Allies menu can be reached by tapping the Allies button in the bottom section of the screen. 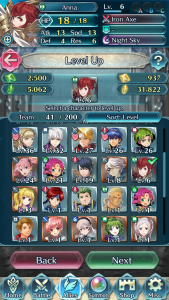 From within this menu, you have a number of options to view and edit your heroes and teams. 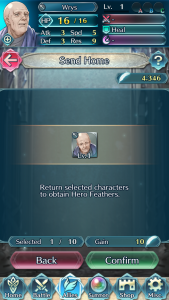 Within all of these screens, you can press and hold any character portrait to view some detailed information about that character. Your character’s name, title, and star rating are prominent in the middle. In the bottom section, you can view their level, stats, skills, and remaining exp needed to level up. 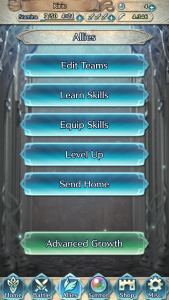 You can tap the Skill List button to see more information about your characters available Skills as well. The information presented is not just limited to gameplay data, either. 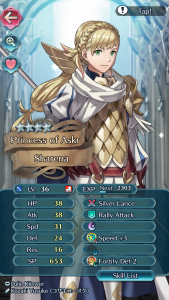 You can tap the magnifying glass icon to view all the different pieces of a hero’s artwork, or tap the character themselves to hear snippets of spoken dialogue. 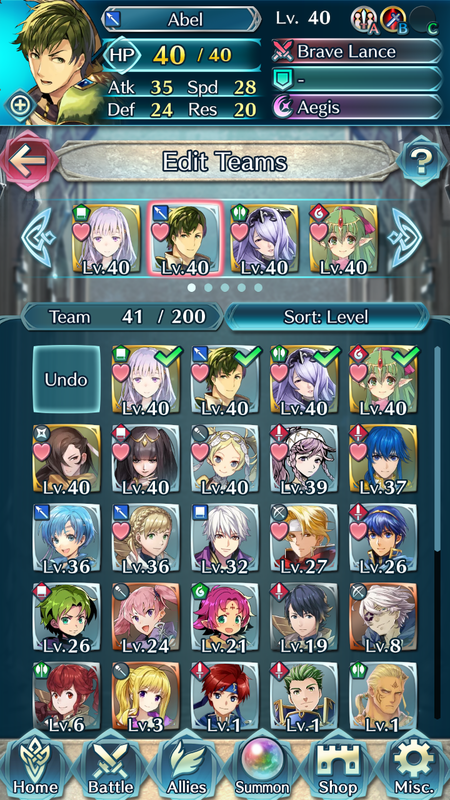 The heart icon in the upper right in this screen will tell you if a hero is marked as a Favorite or not. Tap a blank heart to add a pink heart and favorite the unit, or tap the pink heart to remove it and un-favorite the unit as you wish. 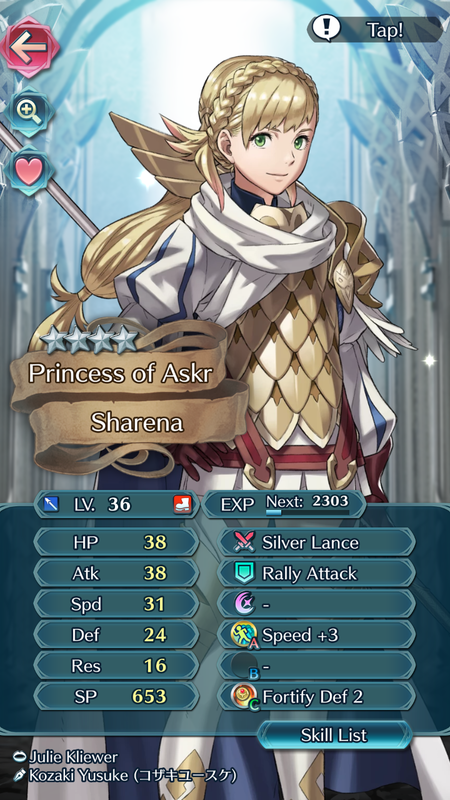 Hearts will also appear above the character’s mini-portrait. 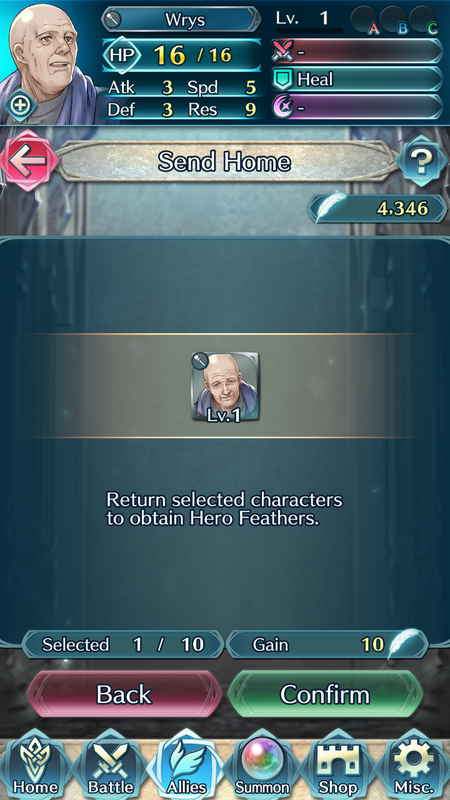 Favorite heros are unable to be merged into other heroes or sent home. 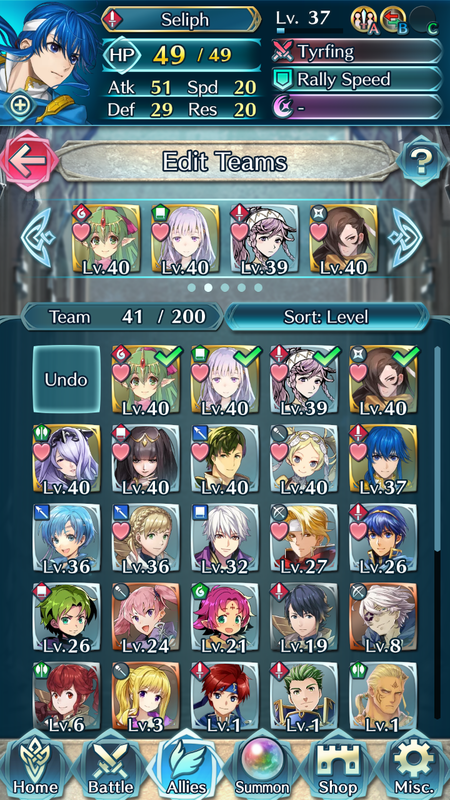 The game automatically favorites some units based on their star rarity. You can change this setting within the “Misc.” menu in the Settings screen. Within Edit Teams, you can rearrange your heroes to form up to five different teams that you can quickly choose between before participating in a battle. 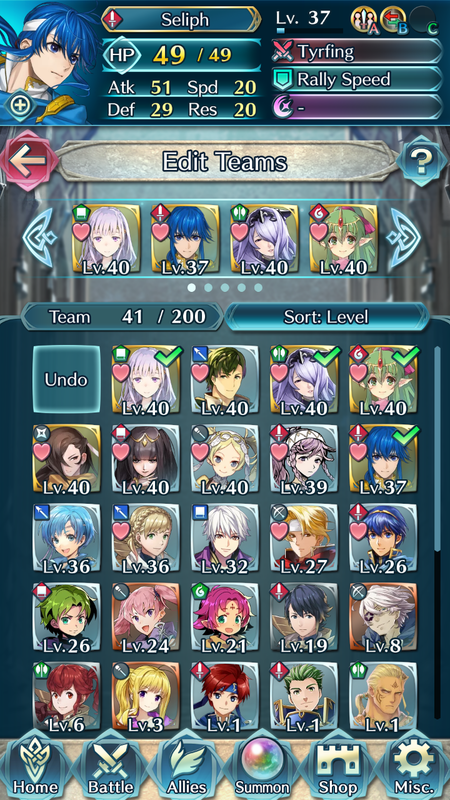 Use the arrows on the side to scroll between your current teams. 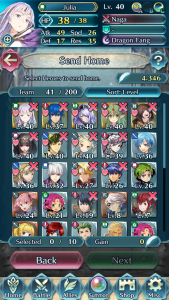 If a team does not have all or any of its slots filled, an “Empty” square will appear in its place. 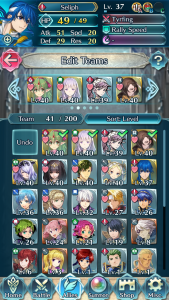 For most purposes, it doesn’t matter which slot you use for which team. The exception is the first, or left-most, team, which is indicated by a lighter blue dot on the left side. This left-most team is important, as it is automatically set as your defense team in the Arena. 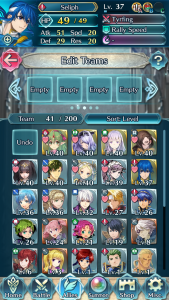 The left-most character of your left-most team is the hero that will appear to represent you on other players’ Friends List, or when players face you in the Arena. To remove a hero from a specific team, select that hero, and then tap the “Undo” button. The character will be removed from the team and replaced with an empty box. 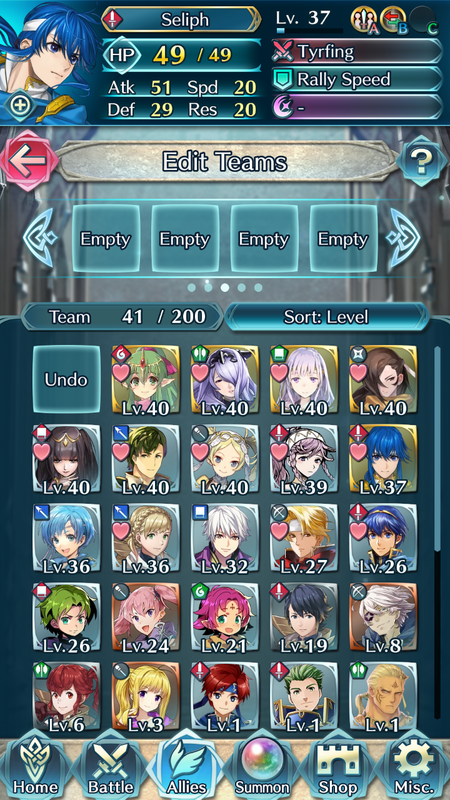 To add a hero to fill the empty space, tap your chosen hero and they will fill the first empty slot. You can also cut out a step and directly swap characters. 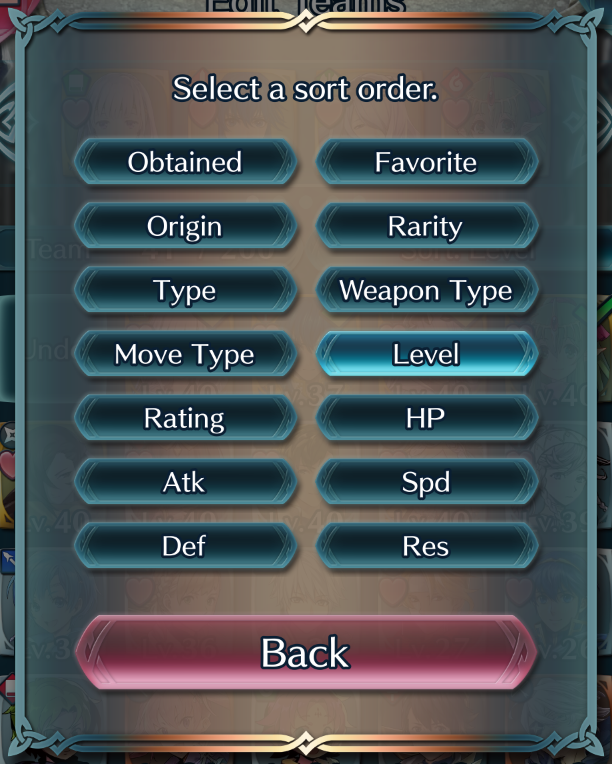 Simply tap on the unit you wish to remove and then tap the unit you wish to replace them and their positions will switch. 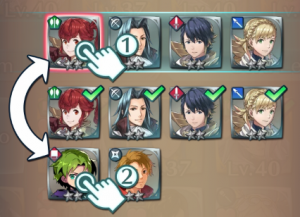 In battle, your characters’ starting positions are based on the order they appear in the team screen. As such, you may wish to swap team positions around for a more advantageous placement. 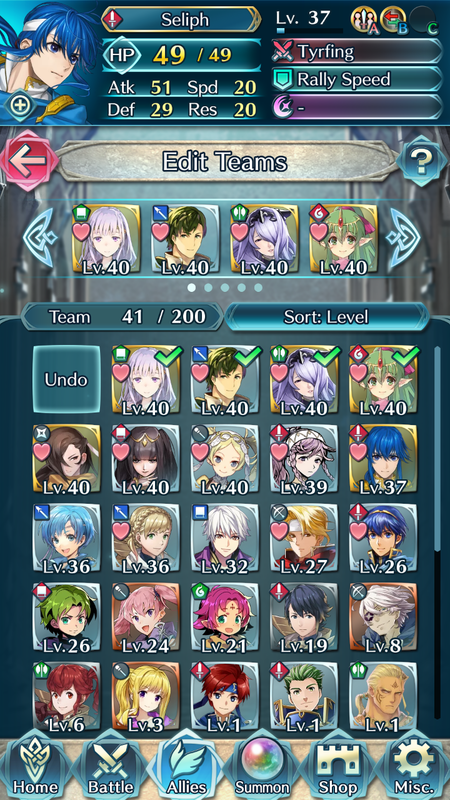 If you have too many heroes to easily look between them, tap on the “Sort” button above the list of units to select a new sort order. 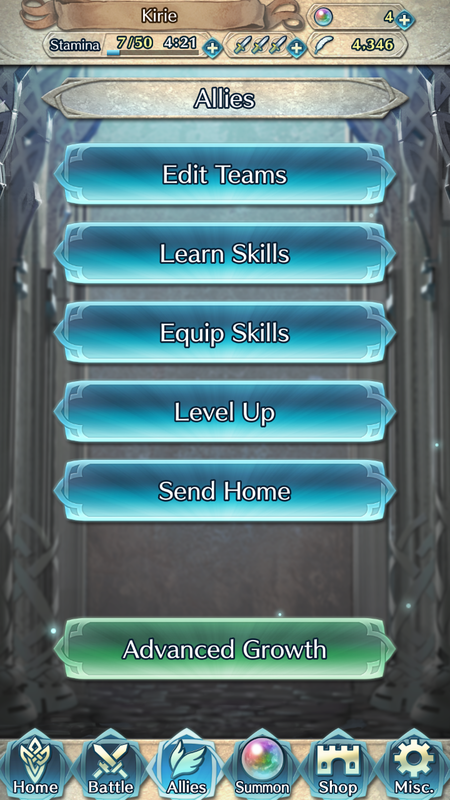 The Learn Skills and Equip Skills menus help you manage your heroes’ skills. Please see Acquiring Skills page for more information about these options. The Level Up screen enables you to spend Shards or Crystals to level up your characters outside of battle. 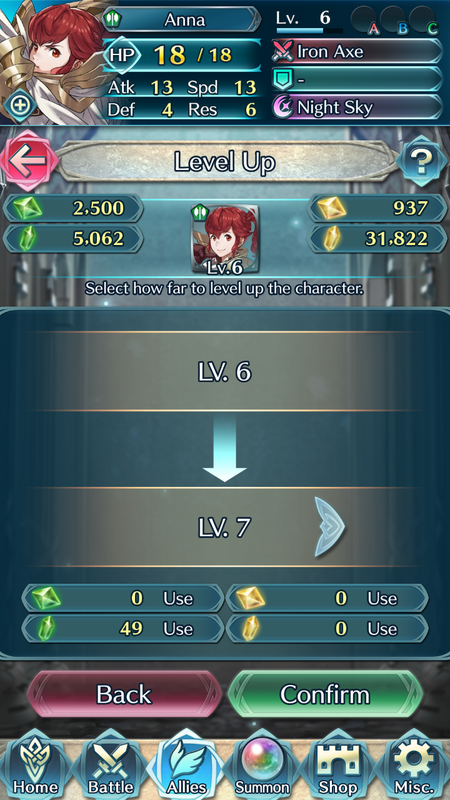 Shards are used to level up characters between levels 1~20, and Crystals are used to level up characters between 21~40. To level up a character, tap their portrait to select them and their mini portrait will appear in the top section, along with the totals of their corresponding Crystals/Shards. 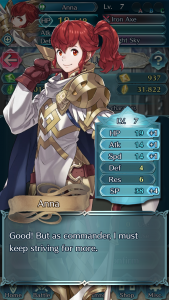 Since Anna is a Green unit, she uses Verdant Crystals/Shards to level up. These are displayed to the left. However, all characters can also use Universal Shards/Crystals in addition to their corresponding colour. These are displayed to the right. Tap the “Next” button to see how many Crystals/Shards you will spend to level up your character. The game automatically shows you the maximum level your character can reach from all Crystals/Shards you have available. The total amount of Crystals/Shards spent is shown on the bottom. 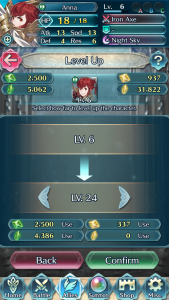 In this instance, we can spend 4,386 Emerald Shards to bring Anna up to Lv. 20, then a further 2,500 Emerald Crystals and 337 Universal Crystals to boost her all the way to Lv. 24. 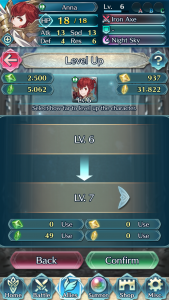 If you don’t want to spend all of your Crystals/Shards, you can use the arrows to move between various levels and see the cost for each. 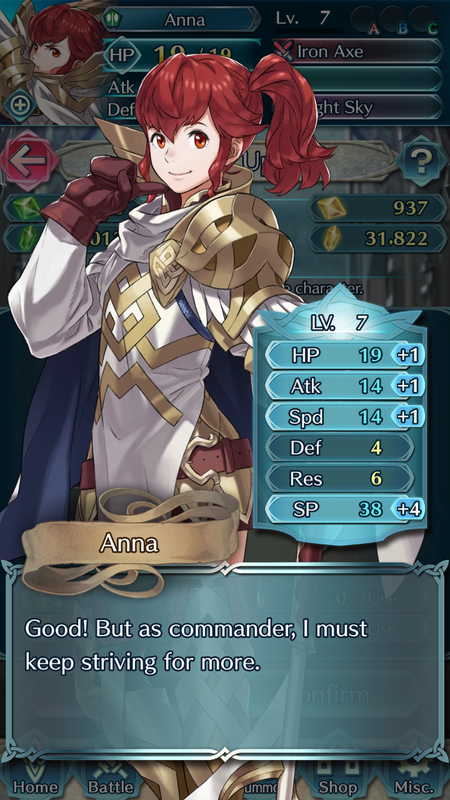 Leveling up Anna to to Lv. 7 costs only 49 Emerald Shards. Once you’ve finalized your selection, tap the Confirm button, and the game will verify the amount of Crystals/Shards you’re spending. 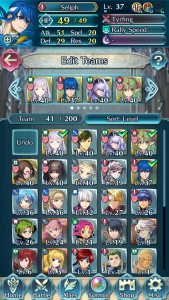 You will also get a screen displaying the character’s stat gains for their new level. 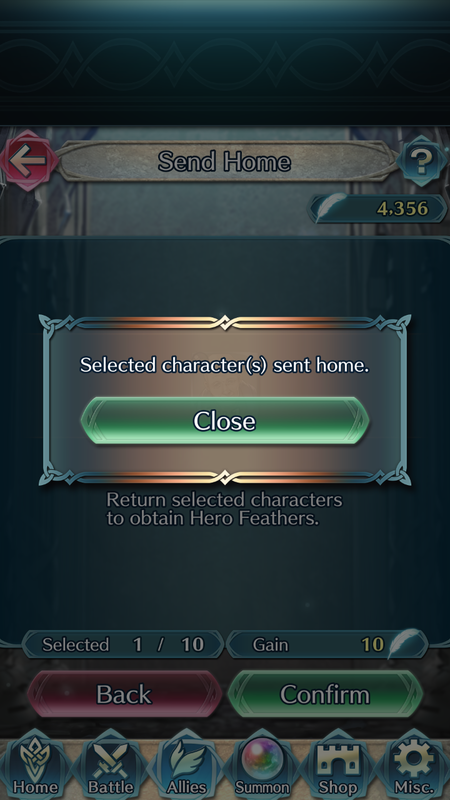 If you have any heroes that you no longer wish to keep, you can use the Send Home screen to trade them in for Hero Feathers. 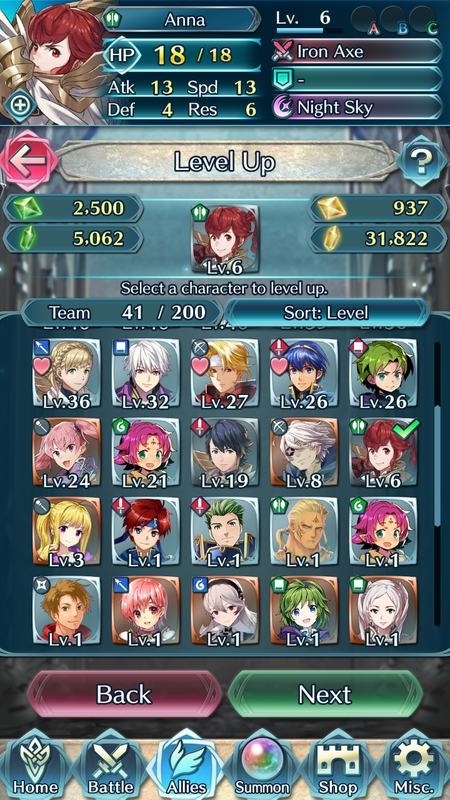 The number of Hero Feathers you earn is based on the star rarity of the characters sent home. You can send home up to 10 heroes at a time. 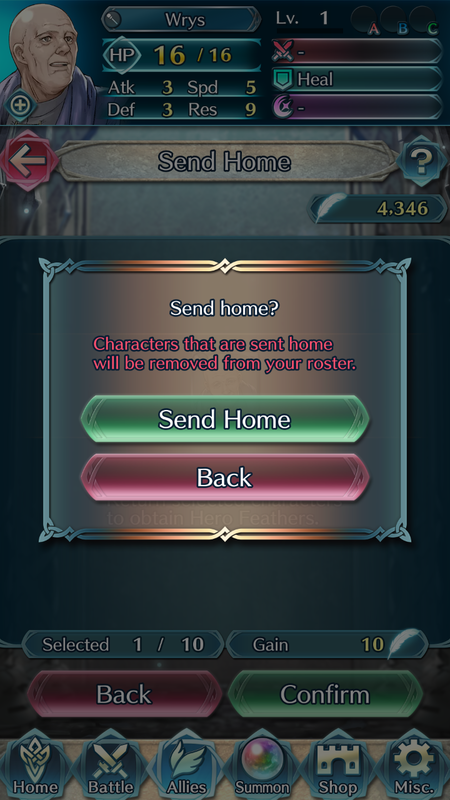 Tap on each character you wish to send home, then select Next. 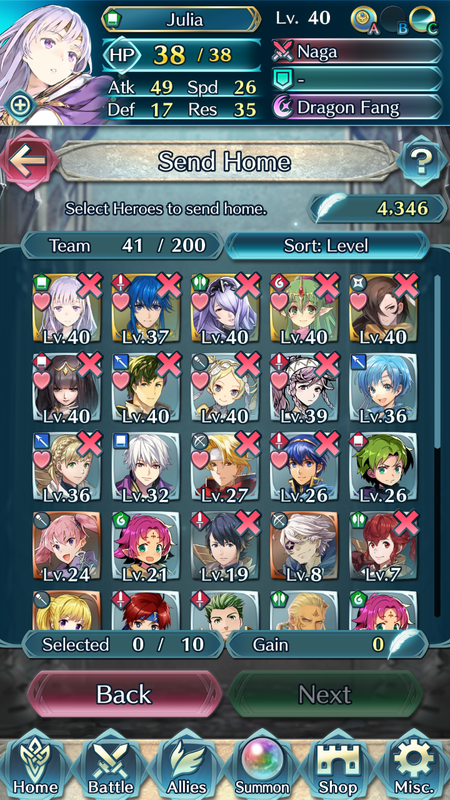 Characters with a red X are favorite units and cannot be sent home. 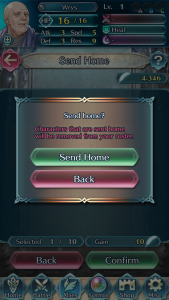 Because all heroes that are sent home are permanently removed from the game, it has multiple confirmation screens to verify that you wish to send these characters home. Think carefully before choosing to send home any unit! 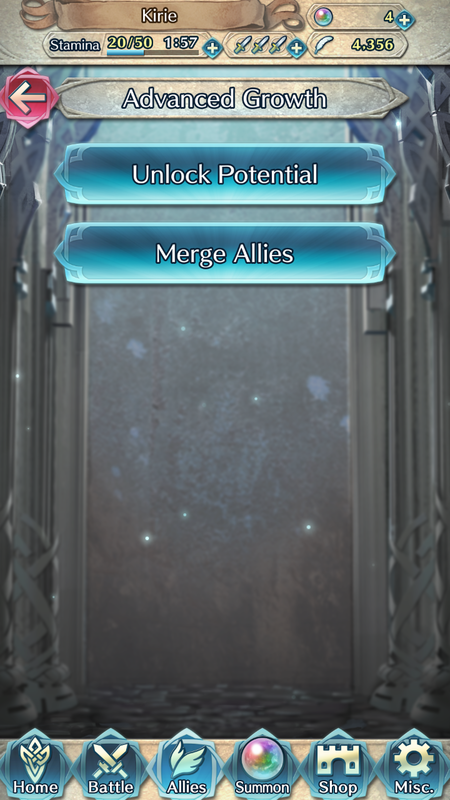 The Advanced Growth screen is actually a sub-menu that contains two different options: Unlock Potential and Merge Allies. 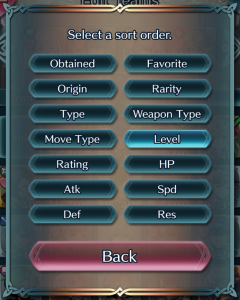 You can find detailed information regarding those two option in the Increasing Rarity and Merging Heroes pages respectively.